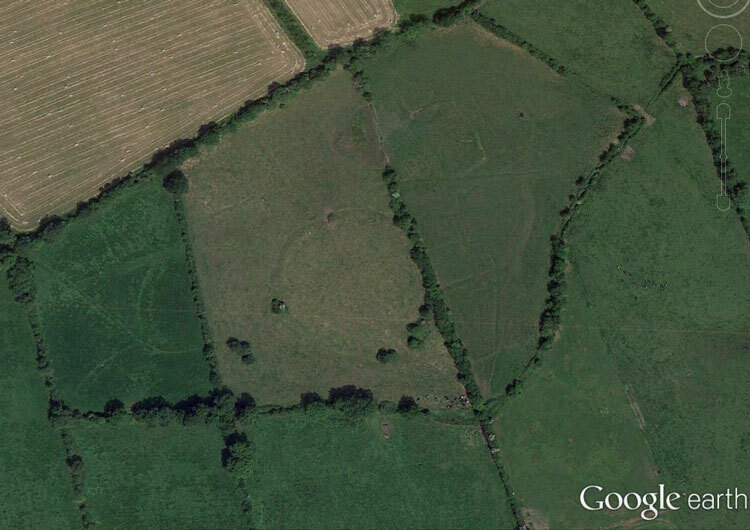 D-shaped enclosure visible on aerial photographs (CUCAP AHJ, 68, 71, 100; Stout 2005, 386). Cropmark of monument visible on Google Earth aerial photograph taken 12 July 2013 and 12 November 2005. See attached aerial photographs taken from Google Earth 2013 and 2005.